Talkase White iPhone 5 is a mini credit sized mobile phone that can be attached to your iPhone 5 or 5S and connected to your Apple device via Bluetooth. This GSM mini phone works as a standalone phone to make and receive calls and SMS. 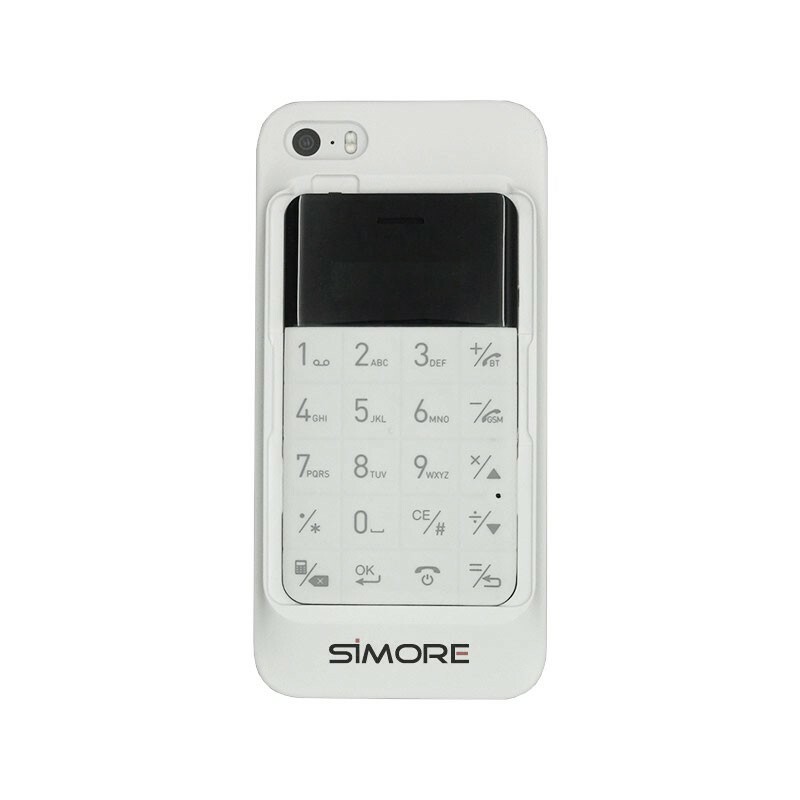 Simply insert any micro-SIM card into the Talkase White phone to make phone calls or SMS anrywhere at any time. Talkase White iPhone 5 can also connect to your iPhone 5 or 5S via Bluetooth to make and receive calls on your mini phone Talkase and synchronize your incoming calls, contacts list, call list, music, etc. It enables you to answer calls on the Talkase phone when your iPhone rings. In addition to protect your iPhone 5 or 5S and attach the mini phone, the provided case allows you to carry 1 extra SIM card, 1 PIN removal tool and your credit card. This mini credit card sized mobile phone is very useful for traveling businessman, students, children, outdoor activities, etc or anyone who carries more than one SIM card or device to be sure they have one mobile ready to work at any time. Connects to your iPhone 5 or 5S to answer calls, sync your contacts, call list and music. Attaches to your iPhone 5 or 5S thanks to the specially-designed case.